Do you feel nice when you’re well groomed? Horses feel the same too when you give them an occasional trim. But horse clippers are, for obvious, reasons quite different from what human beings use. So, if you’re looking to acquire one for equine grooming, here are some reviews and tips to keep in mind. Which is the best horse clipper in the markets? Between a corded and cordless trimmer, which one should you choose? Well, as a prospective owner of one of these gadgets, you’re bound to find yourself in a dilemma. This situation is compounded by the fact that all horse clipper manufacturers claim their grooming kits are the best. Of course, we all know that’s not always the case! So, to help you avoid disappointments, we’ve taken it upon ourselves to find out the truth. Below are 9 no-nonsense reviews on different grooming clippers for horses. Getting a good horse clipper is quite difficult because of factors such as speed, power and the risk of overheating. Fortunately, this reasonably priced unit offers what many pundits consider an above-average experience. First off, its body is made from heavy-duty material meaning it is perfect for equine grooming. A closer look at it, further, reveals that it uses a rotary cool-running motor. What’s that? Well, this is an advanced motor that does away with the need for fans and vents. In other words, this horse clipper operates quietly and without overheating thanks to that technology. For added versatility, the AGC is a 2-speed machine. You can use Speed #1 for basic grooming and speed #2 for dealing with matted fur. It, however, gets warm if used on speed #2 for too long and you’d need to apply a coolant to keep it going. Well-built with an ergonomic body. Lacks a convenient storage case. Although it’s slightly expensive than its sibling the Andis Super AGC, the AGR has many features to marvel at. Its body is made from a break-resistant polymer body which is just what you need when faced with a restless horse. On top of that, this clipper operates relatively quietly. That said, it may produce a wheezing sound when clogged up. But generally, this unit works just well and the noise isn’t really something to worry about. The main advantage of this machine is that it’s cordless. This effectively unchains you and leaves you with complete freedom to trim different parts of your horse. Isn’t this the kind of freedom you need to shape and sculpt your trims? The batteries are rechargeable although you would have to replace after a year or so of use. That said, a single recharge of the AGR’s battery would be enough to keep you going for over 80 minutes – non-stop. Added flexibility thanks to its cordless nature. You need to replace the batteries from time to time. Oster is renowned for producing monster-like horse clippers. However, some people have raised issues that their machines are pretty noisy. So, how does the A5 fare anyway? Well, first off, this clipper is quite powerful. It doesn’t easily get bogged down even when faced with huge tasks. This one plows like a 4 locomotive powerhouse, literally plowing through acres of fur like a hot knife through butter. That said, we’d like to admit that it’s pretty noisy and bulky. However, if you don’t give a hoot about luxuries and simply want the job done, this would be a good find. In fact, the noise level may not bother a typical horse unless you’re dealing with a super restless one. Otherwise, it works fast, quietly and smoothly in addition to being easy to disassemble and clean. Not ideal for restless horses. Read More: How To Clean Horse Hair Brush. This German-made animal clipper has the reputation of operating at extraordinarily quiet levels. That, however, comes at the expense of power meaning it would easily be bogged down by matted fur. But we’re talking about horses and not poodles here! Horse fur is easier to shave and, therefore, our research concludes that this machine can get the job done. The machine is cordless plus it comes with two sets of batteries. This way, you can use one set while letting the other one to recharge. On the downside, you may need to purchase a new battery replacement in a few months. In a nutshell, the Wahl Arco Equine requires 75 minutes to recharge and offers 80-minutes worth of run-time. 5 blades to choose from. Comes with a soft zippered pouch for convenient storage. Need to replace batteries regularly. Wondering where you can find a cheap horse clipper? The Animal Show Pro Plus is the cheapest one which made it to this list. It’s important to note that this is a medium-duty clipper which means it’s suited for minimal clipping. You can use it to deal with hair around fetlocks, bridle path or the hooves. On top of that, the machine is incredibly quiet. 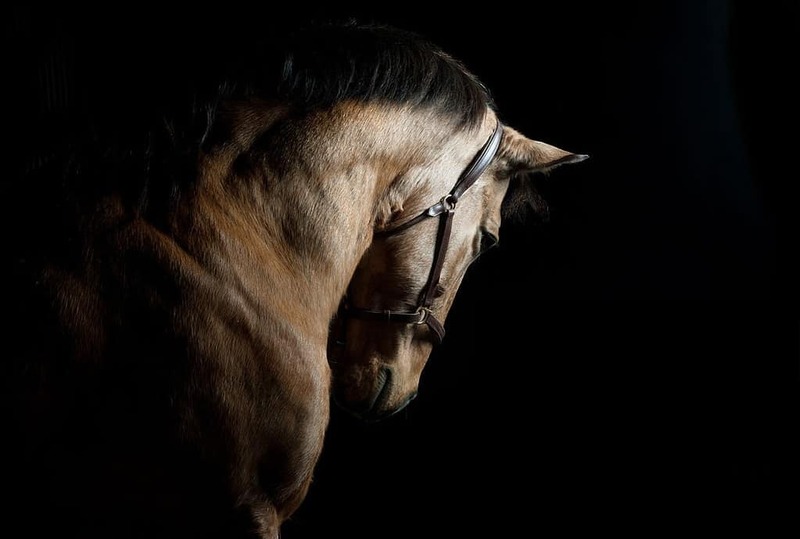 So, if you’re dealing with a scaredy-cat horse, this would be your best bet. On top of that, the clipper is quite small in size, plus it’s light and easy to operate. The quietest horse clipper we’ve come across. The cord could have been longer. Easily clogs up when faced with huge tasks. If you want to rest assured of being in a position to manage any thick coats, this is the clipper to go for. It has a highly powerful motor which works pretty fast. What’s more? It has a 5-in-1 set of blades which allows for frequent changes. This eliminates the risk of the clipper overheating. Likewise, you don’t need to apply any messy coolants. On top of that, the clipper is pretty light in weight. It also has a well-curved body so it easily fits in your hand. We’d also laud the fact that it runs so efficiently on batteries. In fact, on average, you can get 90-minutes worth of run-time. Deals with the risk of overheating. Has a cheap storage box. This is certainly, the most expensive trimmer in this review. But how good is it? Well, compared to all the other models we’ve reviewed so far, this one may seem like an overkill for most grooming tasks. However, if you’re really concerned about doing a decent job, you really should take a look at it. Unlike the cheap varieties listed earlier, the Clipmaster can provide you with a run-time of 4 uninterrupted hours. Can you beat that? Most importantly, it doesn’t easily overheat nor does it get clogged even when exposed to thick hair. Its motor is also pretty powerful. In other words, the clipper moves pretty quick and slices through tangled hair without tugging or pulling it. The most powerful horse clipper. Handles delicate trimming as well. Noisier than your average clipper. If you want a high-quality horse clipper under 100, this one from Wahl deserves to be on your list. You can opt for it when your smaller, cordless clippers get overwhelmed and you badly need an upgrade. The clipper is corded which means it utilizes electric energy to run its monstrous motor. What’s more? Its cord is pretty long adding onto the flexibility needed to trim hard-to-reach areas. Just to give you a rough perspective of what these clippers look like, you can easily fit it in your pocket. Of course, you’d have to drag the cord along. As long as you’re fine with that, this can easily be the best portable horse clipper you’ll ever encounter. If safety and convenience are on top of your list of preferences, the Andis ProClip might be worthy of your attention. It offers a 2-speed functionality (use the low speed for basic grooming and high speed for handling thick coats). And that’s not all as the clipper also comes with a locking switch. This goes a long way in preventing the clipper from locking accidentally. On top of that, the ProClip also comes with detachable blades. This makes it extremely easy to switch between blades. Sometimes, you need to do this fast so your shaving sessions aren’t interrupted. Talking about the blades, our analysis confirmed that they’re quite well made. For instance, they have a special chrome finish which inhibits corrosion. Last but not least, we like the fact that its housing is shatterproof which provides you with a heavy-duty setup. Runs hot if used for more than 30 minutes, straight. Cordless clippers are ideal for flexible trimming, unlike corded ones which limit you to the length of the cord. On the other hand, corded trimmers tend to be more powerful than cordless ones. So, settle for one that best suits your particular needs. It takes several hours to trim a horse. So, if you’re looking for a trimmer for whole-body trimming, go for one that remains cool for long. However, if preparing for a light-grooming session, overheating may not be an issue worth worrying about. Find a clipper that easily fits in your hand and allows you to operate for long. It’s also a good idea to look for one with blades that are easy to replace. If you have a restless horse, we’d recommend going for a quiet trimmer. Fortunately, most horses can put up with a bit of noise. So, once again, you don’t need to be picky on this issue unless you’re dealing with a hyper-restless animal. Having considered all the factors listed above, we have reasons to believe that the Andis Super AGC 2-Speed Horse Clipper is the best horse clippers. The unit is quite powerful, reasonably priced and well-built. What’s more? It doesn’t overheat easily and you can always bank on it to manage most horse grooming tasks. How many times do we wish that we could find a clipper designed to work flawlessly so every grooming task would be a breeze? Well, the truth of the matter is that finding quality clippers is not always straightforward. Ultimately, the best formula is to rely on expert analysis in order to get a feel of what each model offers. This can help you save lots of cash. On top of that, it can save you the trouble of having to ship back the products due to inherent defects. So, we’re glad that you have taken the time to read this review of horse clippers. We certainly hope you’ll be in a position to de-stress your shopping equation and make an informed purchase.